I hope you’ve had a fabulous week. Now it’s grocery shopping time! The new menus are up in Cooking Coach. In the Quick and Yummy menu, there’s a fun recipe for tortellini with broccoli and cheese that is sure to have even the pickiest eaters asking for more. Speaking of broccoli – oh how I love it! It’s so common that sometimes we forget about its health benefits. 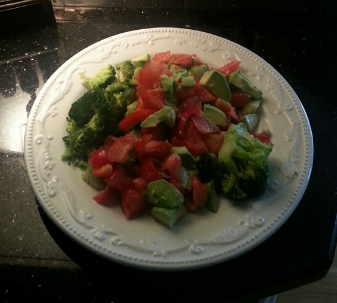 I eat broccoli daily (this picture is of one of my go-to salads, with plenty of broccoli, red pepper, and avocado). It has amazing anti-aging and anti-cancer properties, and it’s really so versatile: raw, steamed, grilled, sauteed. I steam broccoli lightly, leaving it crunchy and flavorful. I also steam and eat the stem from the broccoli. Waste not, want not! Plenty of nutrients in there, too! Also, if you have a hard time getting your children to eat veggies, broccoli is a great one to try. The flavor is mild and, well, they look like trees which make it more “fun” for children to eat! If your child will not eat veggies like broccoli, try blending a bit of it into a fruit smoothie or juice. The flavor will be covered, but they’ll be getting those nutrients. And my-oh-my is that ever important. Q. Do you have some handmade holiday gift ideas? A. For a smaller gift, how about making a batch of sweet and spicy nuts or other healthy, delicious snack and packaging them in a beautiful container? Perhaps you have some festive packaging in mind, or you can’t go wrong with a simple mason jar or plastic bag with pretty ribbon. This sounds like a good time to try my recipe for Pumpkin Spice Granola with Chocolate Chunks! Lay one branch onto the ring and wrap the wire around the stem so that it stays in place. Lay another branch on top, slightly lower than the previous branch, and wire it in place. Keep going and layering until you cover the ring. It may help to pull up a picture of a wreath on your computer as a point of reference while you’re working. To add fun things like pinecones to your wreath, it sounds so simple, but really you can just wire them on as well! Lastly, you can add a beautiful bow to the top of your wreath – here’s a good tutorial video on how to easily make a nice bow with ribbon and wire. 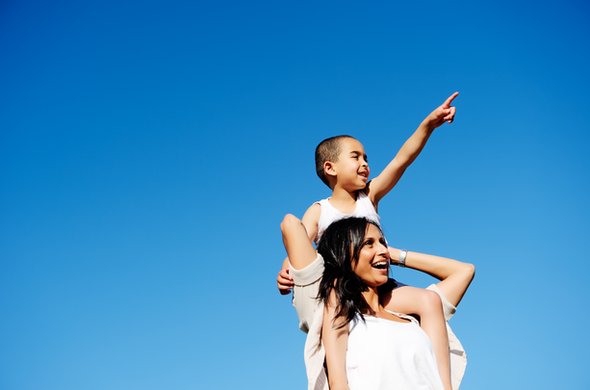 One of the best aspects of maintaining a healthy, positive lifestyle is that it uplifts our future generations. This Goodnet article (and possible tear jerker!) talks about five projects that involve cross-generation collaboration and shows how much we can really learn from each other, children and adults alike. While you’re at it, pop on over to my post about keeping your children healthy. All too often people find themselves feeling stuck. Stuck being unhealthy or overweight, stuck in a rut at work or in a relationship. The thing is, being stuck is simply the result of being afraid to move forward. When you think about the word “stuck” you realize that there is a sense of panic or fear that goes along with it, like if you were stuck in a closet or elevator. So considering that the opposite of fear is love, acting in love towards your life, your family, your job, your home will propel you out of any sticky situation. Don’t be afraid to let yourself love. There is no fear where love exists. I have some lovely friends visiting from Greece this week, and it’s been a great reminder how nice it is to open your heart and home to visitors. Sometimes it takes some work to host company, but the effort is nothing compared to knowing you’re being a blessing and that your guests feel wanted and welcome. In my case, there is extra cooking required this week, which I love to do anyway! Plus, forming new and deeper relationships is always good for the soul. So on Wednesday my guests and I went to see the Rockefeller Center Christmas tree lighting in NYC. Maybe I should’ve seen this coming, but it was impossible to get close enough to the tree to actually see the moment of lighting. 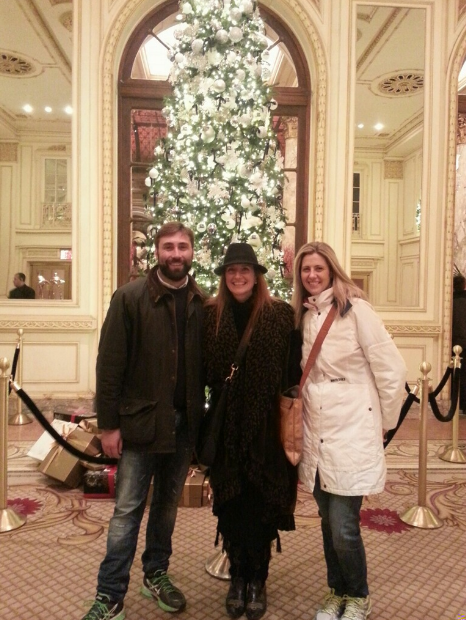 But hey, we found the tree at the Plaza to take a picture with! It was a beautiful almost-winter night in the city and we walked around for hours. 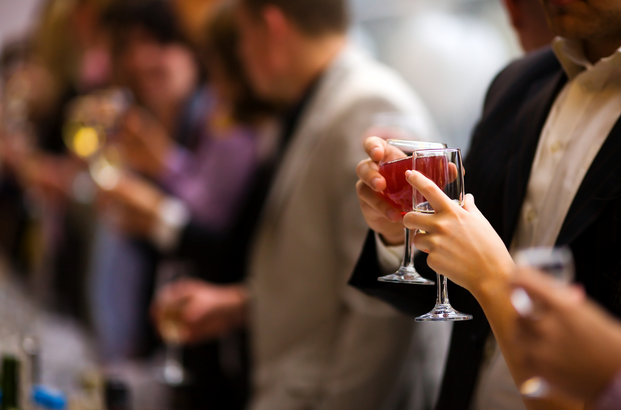 ‘Tis the season of holiday festivities where adult beverages may be in abundance. May I suggest fitting in a salad before you indulge? Remember my tip the other week about reaching for the salad to prevent over-eating at Thanksgiving dinner? Well, if your salad has an oil dressing it will help in this case as well to coat your stomach and alleviate the impact of alcohol. Also, alternating any drinks with a glass of water will help. Also also, you can always just keep the drinks to a minimum! Here’s a second tip, adding onto last week’s lipstick tip: Make sure your lip liner is not darker than your lipstick! Lip liner helps give your makeup a clean look but should be the same shade or a bit lighter than your lipstick in order to avoid looked dated. A sedentary lifestyle may cause/worsen cellulite, and maintaining a healthy body fat level could reduce cellulite and improve the overall appearance of your skin. Sounds like a no-brainer to stay healthy and active for this very reason! Check out V Well Health Fitness Trainer’s Cellulite Shrinker workout plan to “blast those bumps and lose those lumps”! By the way, have you seen my post on the best remedies for cellulite?